Somerset take on Surrey in the Clydesdale Bank 40 final at Lord’s, with the Cidermen desperate to remove their ‘bottlers’ tag after losing four finals over the course of two seasons. There is no question of the talent in the Somerset ranks and their consistency is admirable, but their discipline and mental strength must come under scrutiny on the big stage. However, this run will come to an end at some point and their finals experience may work in their favour against Surrey. Somerset have been in impressive nick en route to the CB40 final, having seemingly cruised through the previous rounds, but they will need to up their game if they want to get over the last hurdle and lift the trophy at the ‘home of cricket’. Surrey take their place in a final for the first time since 2001 and will look to continue the attacking brand of cricket that has provided the winning formula so far in the competition. These sides have met only once before in a Lord’s final – back in 1981 – when the Cidermen won the Benson & Hedges Cup final by seven wickets. The key men for Somerset will be attacking opening batsman Craig Kieswetter, who will be released from England duty, and Alfonso Thomas, who is arguably the best limited-overs seam bowler in the world at the moment. For Surrey, seam bowler Jade Dernbach has been a key cog in the wheel this season and will, like Kieswetter, be released from England duty. 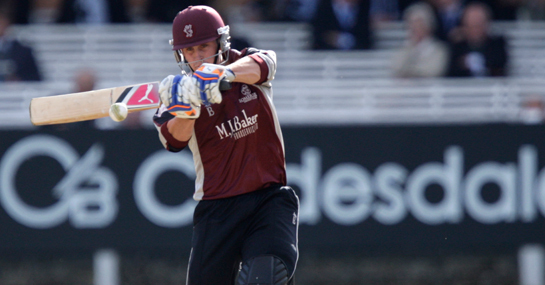 Surrey have an excellent top four, but it could be captain Rory Hamilton-Brown who shows his class on the big stage. In terms of the odds for the game there is no separating the sides, who are both priced at 10/11 to triumph, suggesting it’ll be an even contest. The smart money could be with more talented and experienced Somerset despite their previous record on the big stage. There’s plenty of value available in the top run-scorer market with Hamilton-Brown 7/2 to be top scorer for Surrey, while the in-form Kieswetter is 3/1 to top the scoring charts for Somerset.